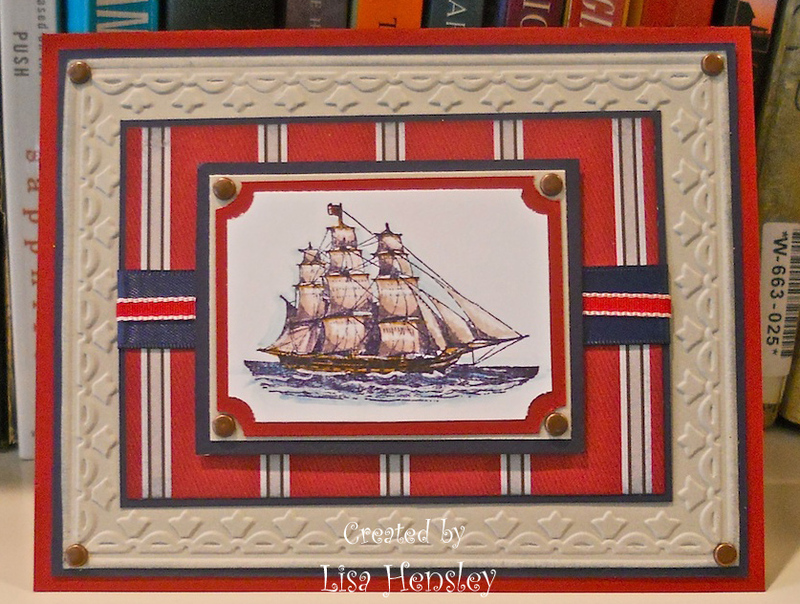 The Shabby Stamper: The Open Sea! This is my first attempt with one of the new sets from the Summer Mini -- The Open Sea -- as well as one of the new packs of dsp, Nautical Expedition. I think that this set has lots of vintage possibilities! I really wanted to used the Cherry Cobbler/White bakers' twine, but couldn't find a place for it. The twine is fabulous and I can't wait to play with it! 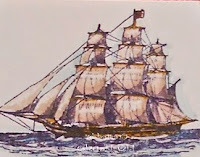 Because of the watercoloring, this also fits with the Creative Crew Holiday/Seasonal focus. 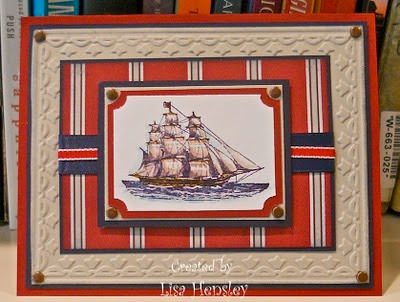 As always, Lisa, you have proven again how much an artist you are -- truly gorgeous card!! This card looks like an oil painting. Ummm....wow! The colors on that boat is stunning. Absolutely stunning. Love the card. Love this one. Thanks for the inspiration.